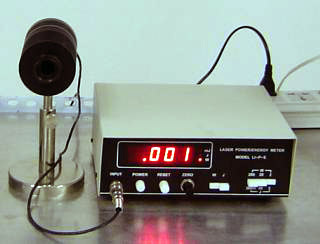 Laser-wave power meters use thermal detectors for accurate detection of a wide range of wavelengths. The meters are available in two types up to 2W and up to 20W and can measure average or peak power. These items are not held on stock and are ordered in direct from the factory as required.